The Aspen by Aspen for Men Eau de Cologne is a hypnotic scent that will not fail to entice. It is for the rugged man who thrives on pursuing tougher challenges. The cologne is defined by a combination of fruity and spicy accents. The heart of the Eau de Cologne is comprised of floral and spicy elements that include coriander, cyclamen, geranium, jasmine, juniper, lavender, and orange blossom. Finally, woody and raw elements of amber, oakmoss, musk, cedar, and balsam fir will grace you and provide a fragrance that will be hard to forget. This Eau de Cologne for men by Aspen is contained in a sleek, sophisticated flacon and is available in a quantity of 118ml. Fruity and Citrusy notes of bergamot, galbanum, green notes, and lemon welcome you when you apply the perfume. These fruity accents provide a refreshing, effervescent sensation. 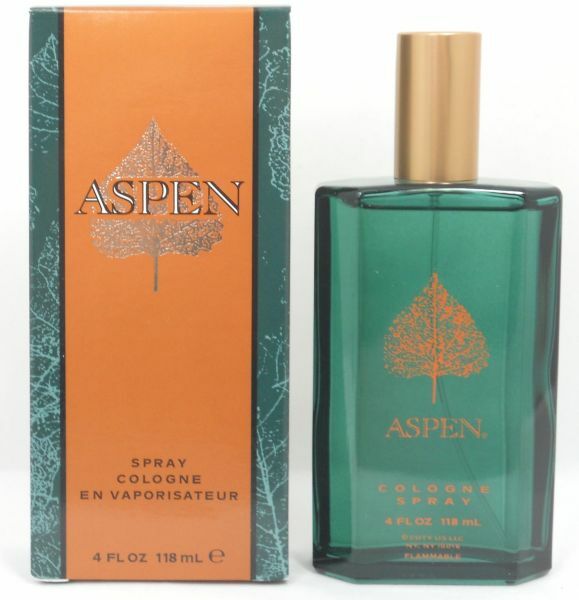 The middle notes of the Aspen by Aspen for Men Eau de Cologne are composed using a combination of spices, woody accents, non organic materials, and floral tones. The floral accents of jasmine, cyclamen, geranium, and orange blossom coalesce with a woody note of juniper, a spicy hint of coriander, and a gentle element of lavender to provide an unforgettable aroma. The base of this cologne is a beautiful blend of woody and natural, raw elements. A cozy and warm essence of amber and an animalistic note of musk blend perfectly with woody elements of cedar, oakmoss, and balsam fir to provide an earthy fragrance. 90.1% of users recommend this product to a friend. Thank you for the rapid delivery and quality product. Good perfume but has one problem, longevity. Good seller as always, good fragrance for day to day use at work.